Premium Aluminium Housings are manufactured and supplied by us in Bangalore. 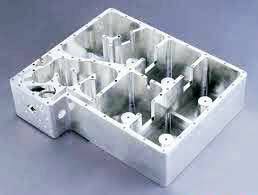 Aluminium Housings are used in assembly of small gear box. Our Aluminium Housings are designed by experts at the unit that makes these suitable for several industrial units. Made of excellent quality aluminum, our Aluminium Housings are considered the best in the market.